For the first time under African skies, the Piazza will screen the movie everyone is singing about! 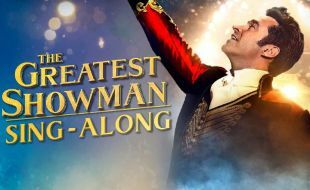 The Sing-A-long version of The Greatest Showman features on-screen lyrics for every song (as if you haven’t memorised them already) in this Oscar nominated family favourite. Inspired by the imagination of P. T. Barnum, The Greatest Showman is an original award winning musical that celebrates the birth of show business and tells of a visionary who rose from nothing to create a spectacle that became a worldwide sensation. Featuring live entertainment from Rubber Duc before the movie and fantastic prize giveaways, Quick bite food trucks will no longer be available so come early and enjoy a leisurely lunch/dinner before/after the show. Over 30 restaurants to choose from – it is the “moment you have been waiting for”! Due to venue liquor licencing restrictions, no food or drinks may be brought into the movie screening area. Seats are limited so book in advance to avoid disappointment!